The State officials are planning to build an automated mountain dam in the Enchantments area near Leavenworth. The existing dams are not known to many. The automation will provide a better flow to Icicle Creek, its languishing fish, Wenatchee Valley orchards and the city of Leavenworth, which all rely on the creek’s cold waters. After a long six-year gap the Icicle Working Group has formulated a plan to draw a stronger and consistent flow that can tackle drought and the uncertain challenges posed by the Climate Change. It has given all the details of the plan in an environmental impact statement on Thursday. The plan is likely to face legal challenges by environmental groups. Icicle Creek draws on seven lakes in or near the Enchantments basin, a portion of the Alpine Lakes Wilderness that is most sought after by the hikers due to serene high alpine terrain with clear and crystal lakes in it. The Federal wilderness laws bar any kind of new constructions in wilderness areas, but the existing dams were built before the Wilderness Act of 1964 was passed. The plan’s motive is to address a huge water need, as per the EIA statement. The automated dam will help in making the flow consistent which will ultimately help endangered chinook salmon, steelhead and bull trout. Tribal salmon harvest also has been declined in the area, and the whole aquatic habitat is on a dip owing to the low flow of water and warmness. The Leavenworth National Fish Hatchery, which operates on Icicle River, needs consistent, clean and cold water to operate efficiently. The city of Leavenworth, which pulls water from the Icicle is also in dire shortage of water and very unlikely to meet the projected demand by 2050. There have been some years as well when the water shortage also affected the irrigation for the agriculture as well. The whole plan would cost around $82 million, as per the officials. The plane includes automated dam releases from seven alpine lakes, including hiking destinations like Eightmile Lake, Colchuck Lake, and Nada Lake. The plan also has the provision to raise the Eightmile Lake by several feet so that it can be restored to its original and permitted water storage elevation. The Hatchery’s infrastructure will also be upgraded. Some channels of Icicle Creek could be modified for better fish passage around a large boulder field that prevents fish from migrating upstream. It also prioritizes conservation projects in the Leavenworth area, such as leak detection and new residential meter installation, etc. Mike Kaputa, natural resources director for Chelan County, said that the team was excited and after a long six years of wait with legal litigations, at least the plan had been finalized. It should be reported here that the plan in question was first drafted in 2012. A variety of government organizations are at stake, as different organizations operate Icicle Creek, the dams on the alpine lakes above and the land nearby. Funding for individual projects need to be finalized, and a public review or public comment process will follow after that. The dams on the high alpine lakes have been there since the 1920s. Just after the dams went into operation, there were issues with water rights as well. And in recent years, owing to several multidimensional issues the Icicle Creek has not much water to satisfy everyone’s needs. The age of the infrastructure was also a concern. Last year, the dam at Eightmile Lake was about to burst by water over storage. Emergency repairs could hold the water, but that is not something for a longer period. Even as of now, a change in the flow of the water needs manual setting up. For that one needs to hike up to the trails. The hatchery also has faced many legal problems. The infrastructure has been outdated, and there are problems with the quality of water and polluted discharge. 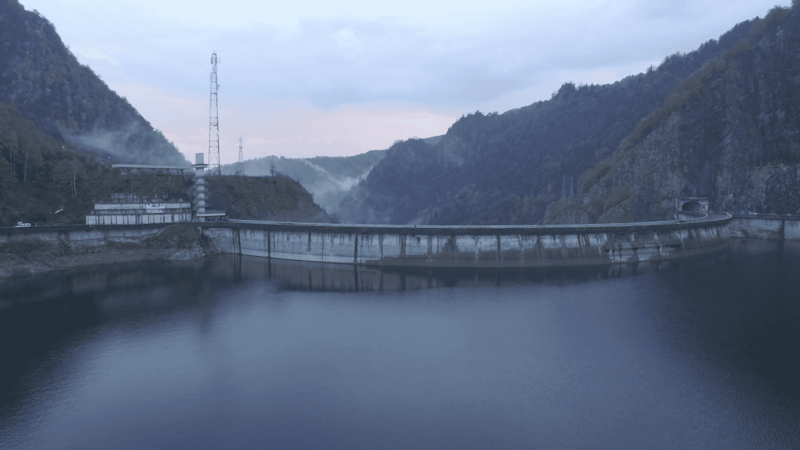 As per the officials, automation of the dam will provide for a more consistent flow of water that lasts through dry summers when Icicle Creek relies heavily on snowmelt. Climate Change also has the potential to affect the flow of the water as some environmentalists have predicted that very soon precipitation would be in terms of rains more than snowfall. The water flow now also depends on the melting of snow, but if the precipitation trend changes, the water from the snow melt will also lessen. The 2015 drought in Washington State was an example of the consequences of Climate Change. And the problems in the Hatchery have become repeated trends now. The hatchery had to kill thousands of fishes because of diseases and had to transfer half of them due to increased temperature of the water. Legal challenges to the Icicle Working Group’s plan are very certain. Environmentalists had shown skepticism of the draft version of Impact Assessment stating that the automation will also lead to a conflict of water rights. Karl Forsgaard, the past president of the Alpine Lakes Protection Society, said that legal action would be happening as to protect the wilderness which is of paramount importance to nature and the environment. Whether it will be subject to judicial review or not, one thing is certain that the stakes at the dam building are very high. The decision should be mutually accepted, and an expert review should be done prior to the start of the work. The protection to environment and nature should never be compromised for any kind of intrusion into the wilderness in the name of construction.